This past week the weather has been great. The hubby and I decided to take full advantage of it around the yard to first part of the week. We got my raised bed finished, weeds pulled up from another bed, and the lawn looking great. My Grandma came for the second half of the week. We spent some nice time visiting. Her and I went and picked up some starts to fill up my raised bed. Overall the week was fantastic! Who can complain about sun and time with family? Yesterday my hubby, daughter and I went out to a wild bird store. We picked up a new platform feeder and a squirrel feeder. The hubby set up the squirrel feeder and I got the new bird feeder up on a hook. 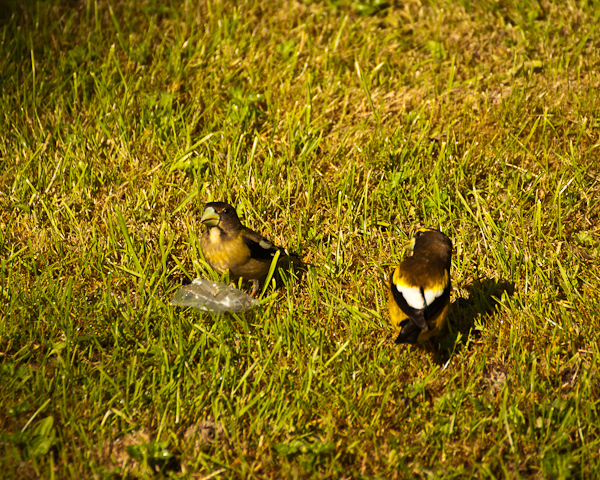 Within ten minutes of having it filled with seed and going inside, a flock of evening grosbeak had found it and were happily chattering and eating. 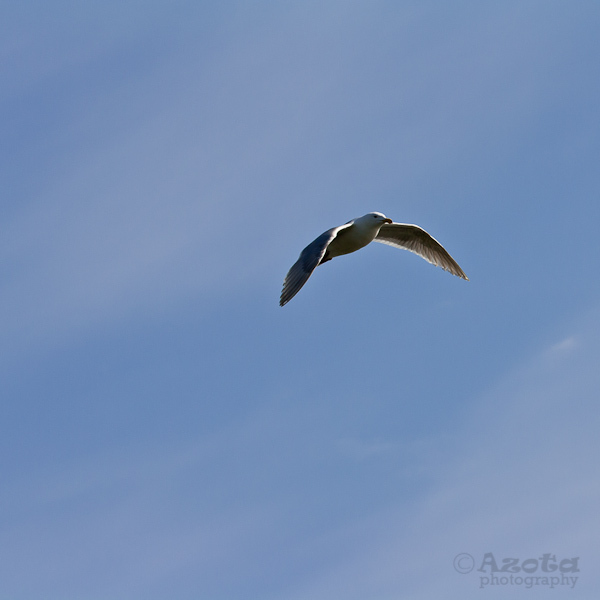 The one thing that I did not find time to do this week was to get out and take photos. 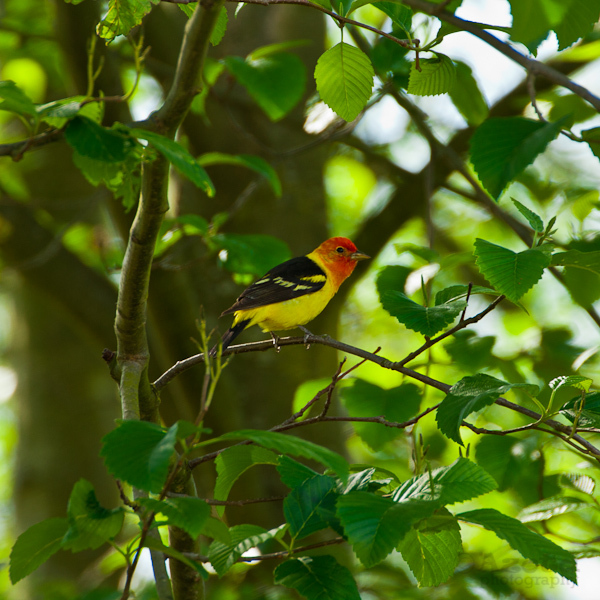 So, this morning I quietly went out onto the deck and snapped some pictures of the visitors in my yard. My raised bed. 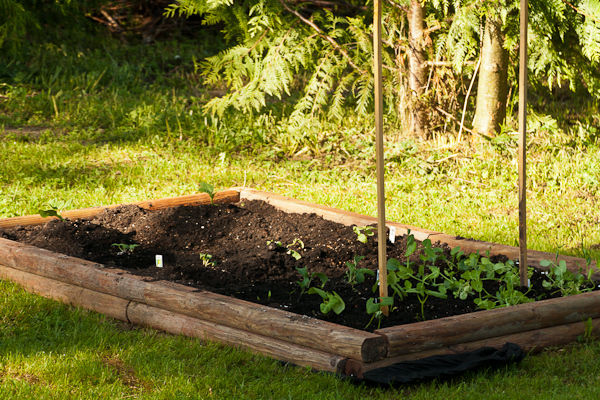 I’m attempting to grow some vegetables. This little guy briefly visited my yard. 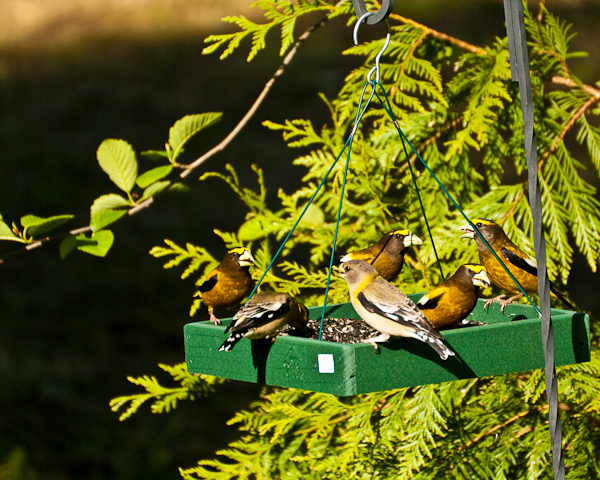 The grosbeak are enjoying the new feeder. These two are checking out a piece of plastic that blew in to the yard. 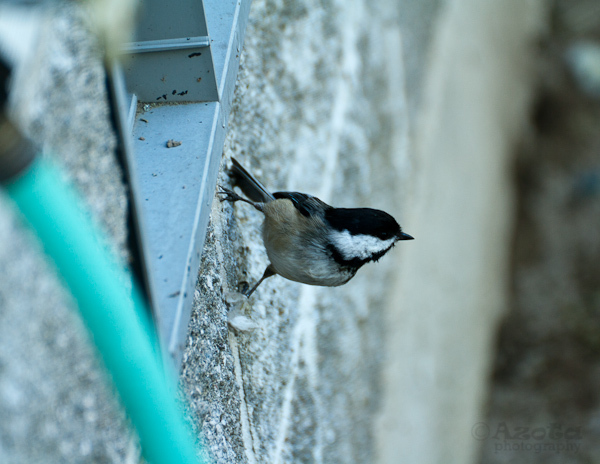 I’m thinking this little one was maybe trying to find a spot to start a nest. 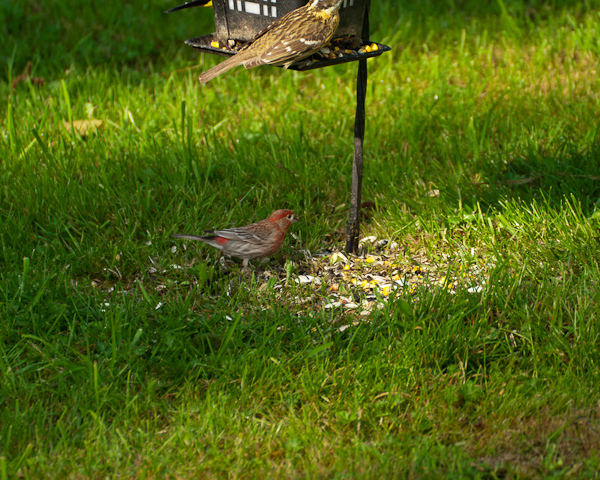 This little house finch was sneaking in some food. 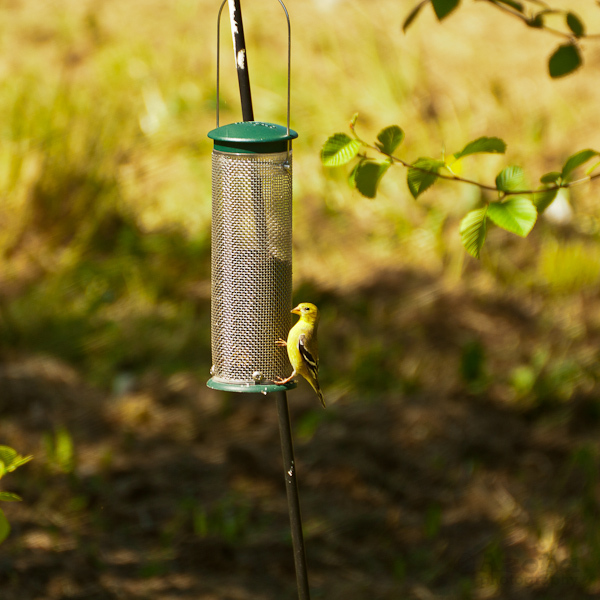 A Golden Finch is visiting the thistle feeder. 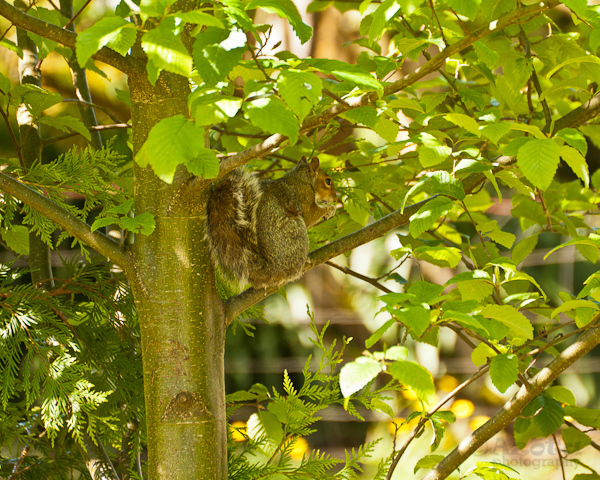 Our resident squirrel is enjoying a snack. When I woke up yesterday, I was greeted by rain clouds outside. Now, this was not what the forecast had promised. And I was very tired of the rain. I was ready for the nice weather that we were suppose to have. Frustrated, but knowing there was nothing I could do, I might as well move on with the day. So the my family went out for the morning and by the time we were done with lunch and heading home the sun had finally made an appearance. All the grey clouds were making their way to go over the Cascades. Now the decision, to go out for the afternoon or work in the yard. The grass was certainly in needing to be cut, but it could wait one more day. I gathered up my camera bag and my hubby and I hopped into the car. Where to go.. where to go… I knew I didn’t want to go east, since that was the direction the rain clouds had taken. So we went west. I was wanting to go to the Breadfarm in Edison anyways to pick up a loaf of bread (They have such delicious bread!!). We then wander the roads around the area. One of stops brought us to Bay View State Park. Being part of the Washington State Park system, it does require a Discovery Pass or you need to pay a parking fee. Lucky for us, we have our Discovery Pass! 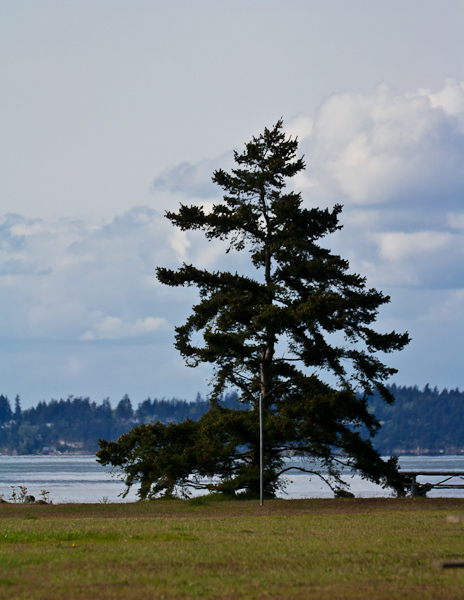 The park is located within the small town of Bay View, Washington. The town sits on the coast line that looks out over Padilla Bay. 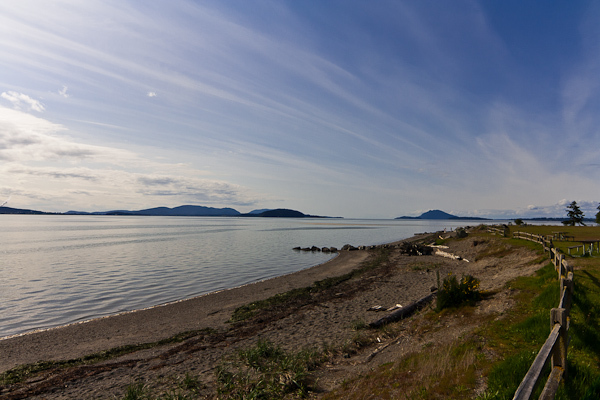 Nearby is the Padilla Bay Interpretive Center. 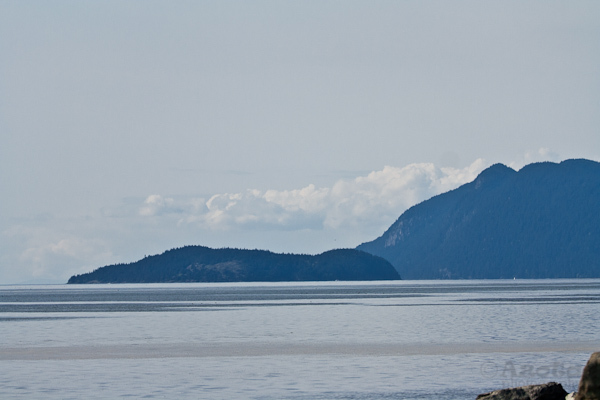 A great place to stop in the learn about the Padilla Bay Reserve. The park itself isn’t large. It has an upper side that host camping for RVs, trailers or tents. There is trail from the area that leads under the road to the lower park portion. You can also just drive and park in the lower park area. The park sits along the coast line. 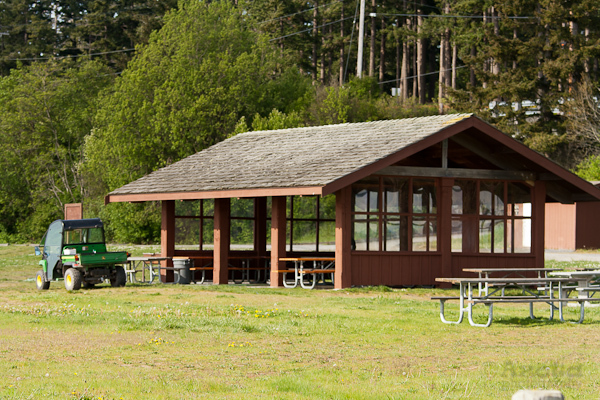 There are lots of picnic tables, a covered area and fire pits. There is even a couple of horse shoe pits. This park does not include any play areas for kids. However, with a beach to explore, who needs a playground? The beach is your typical rocky beach you find in the Puget Sound. There is drift wood and seaweed too. The views look out over to the refineries in Anacortes and out into the Sound towards the Hat Island and the larger Guemes island. Overall, if you are looking for a park to visit for the day to enjoy a picnic, I would certainly recommend it. I can’t speak towards the camping, but there were a good number of people utilizing it.